USADA announced today that Patrick Blake Leeper, of Spring Valley, Calif., an athlete in the sport of Paralympic track & field has accepted a one year suspension for an anti-doping rule violation. Leeper, 25, tested positive for benzoylecgonine from a sample collected on June 21, 2015 at the U.S. Paralympic Track & Field National Championships held in St. Paul, Minn. Benzoylecgonine is a metabolite of cocaine, a substance in the class of Stimulants prohibited under the USADA Protocol for Olympic and Paralympic Movement Testing and the International Paralympic Committee Anti-Doping Code, both of which have adopted the World Anti-Doping Code (“Code”) and the World Anti-Doping Agency Prohibited List. It was determined that Mr. Leeper’s use of cocaine was not intended to enhance performance, and in consideration of other mitigating factors, he was deemed eligible for a reduced, one-year sanction. Leeper’s one-year period of ineligibility began on June 21, 2015, the date of his sample collection. 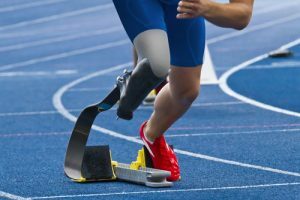 In addition, Leeper has been disqualified from all competitive results obtained on and subsequent to June 19, 2015, the date he first competed at the U.S. Paralympics Track & Field National Championships, including forfeiture of any medals, points and prizes.